I´ve been yesterday for a quick visit to Munich and as most of the time visited Burghard Pflug´s Gasoline Alley. Hard to leave his shop without finding something. 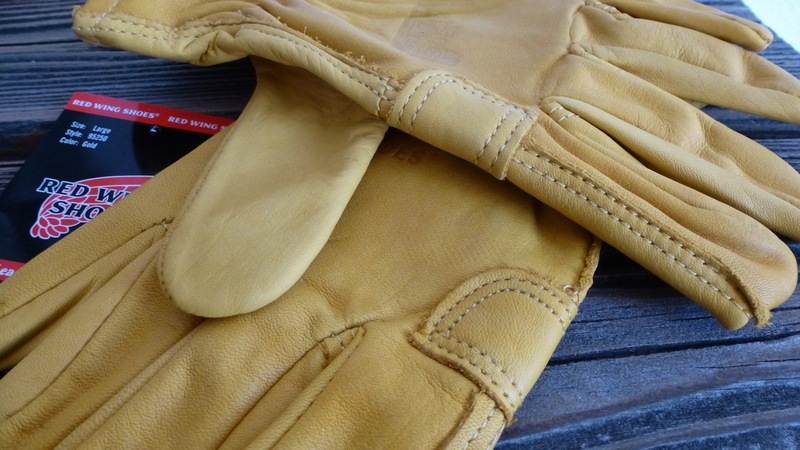 This time I got a pair of Red Wing leather work gloves. 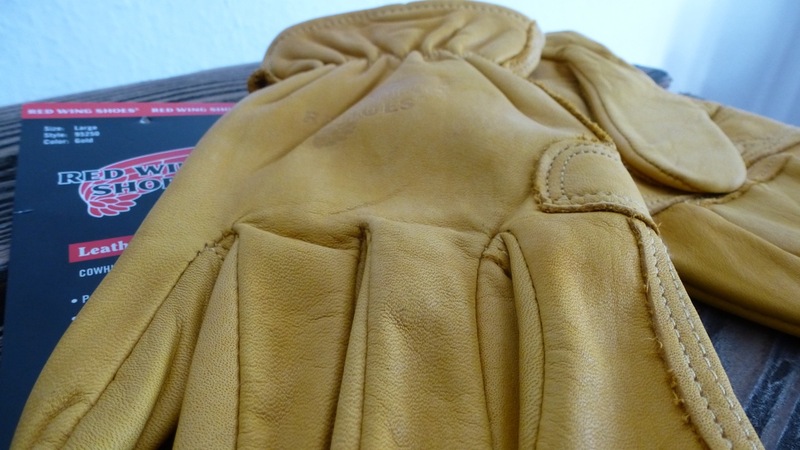 With the right jacket or trousers a man hardly needs gloves but sometimes I wished I had one. 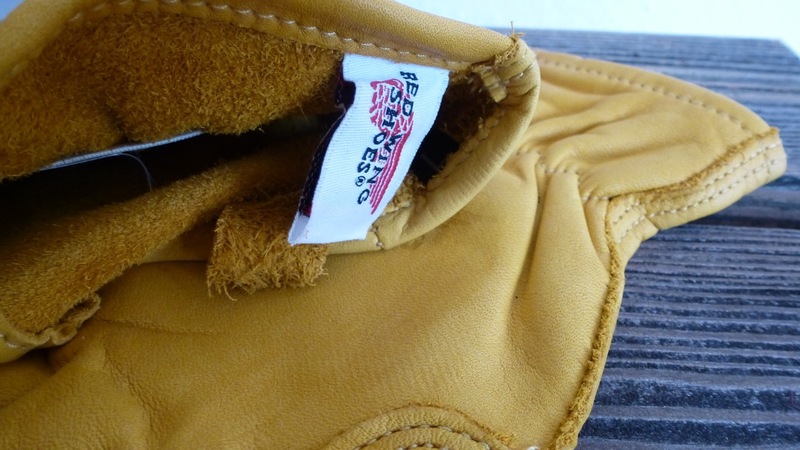 So they had to be constructed well and this pair fitted my requirements as I can say now. 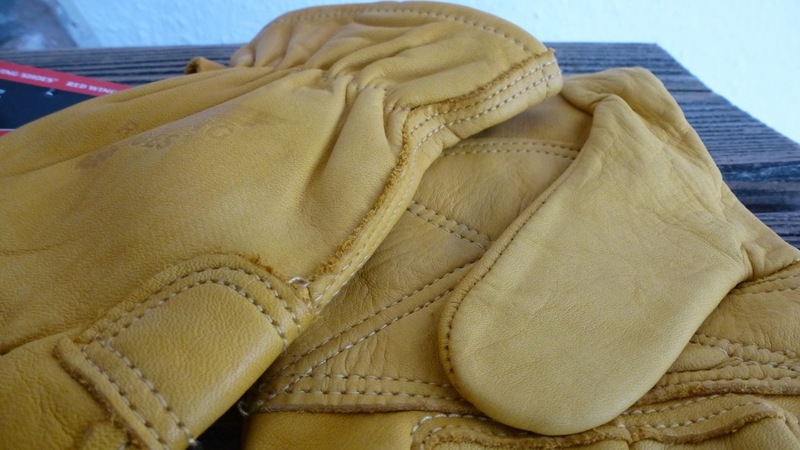 This entry was posted in Style and tagged burkhard pflug, cowhide, durable, gasoline alley, gold, münchen, munich, palm patch, red wing, rugged jobs, shoes, work gloves on 31. January 2013 by Alex. 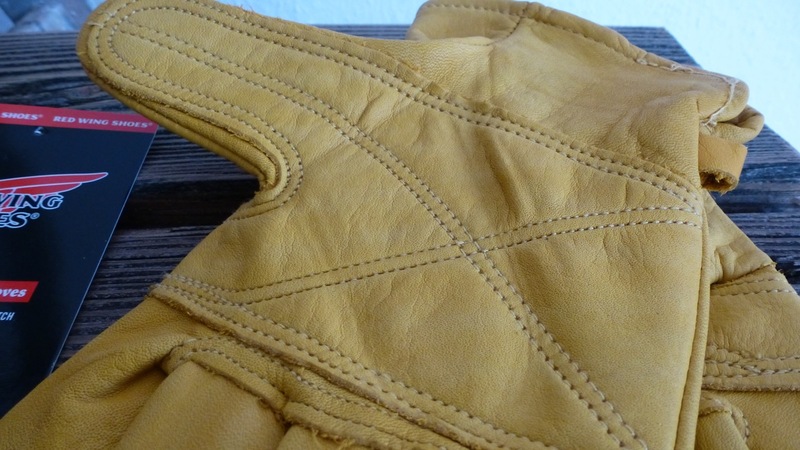 Guten Tag, sehr schöne Handschuhe, bin auch auf der suche nach solch einem Paar in Gr. M.
Leider hat Gasoline Alley keine mehr am Lager. Ich würde mich über die genau Bezeichnung freuen. Danke dafür. 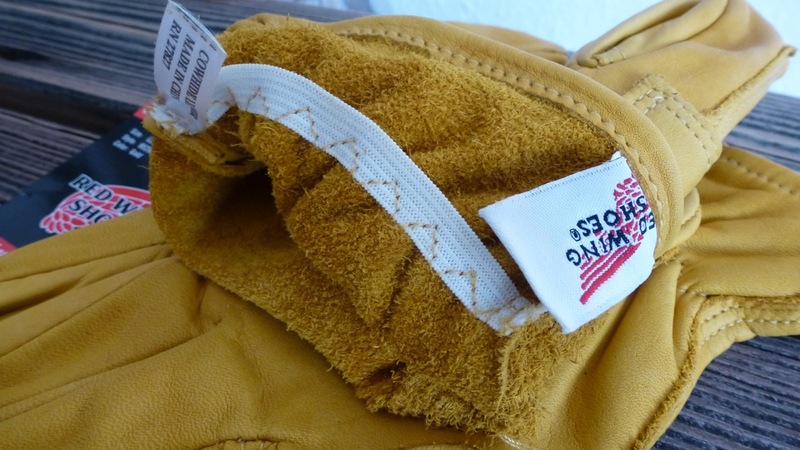 Die Handschuhe heißen Red Wing leather work gloves, ich habe jetzt mach kurz recherchiert und auch nur die in Hirschleder mit Futter gefunden.